We embody our operational excellence every day through a company culture geared toward customer satisfaction and exacting standards on protecting health, safety and the environment. 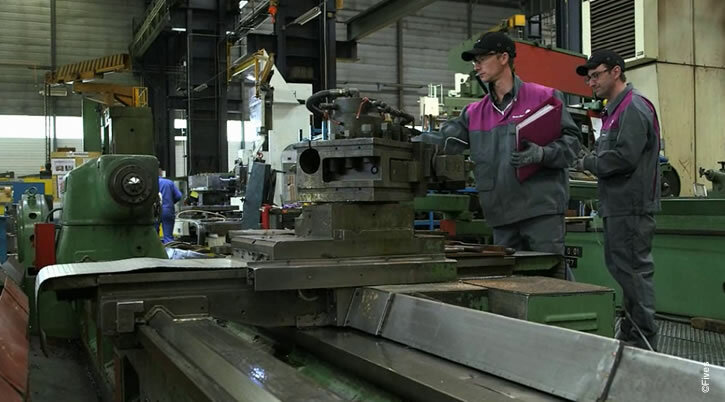 In perfect alignment with its customers' production strategies, Fives devises maintenance policies focused on the performance and durability of their systems. Fives is committed to guaranteeing a maximum availability rate for its customers' equipment by providing end-to-end solutions that offer reliability, availability, safety and long-lasting performance. Fives helps customers improve their processes. We provide them with the expertise they need to guarantee that their systems operate at peak performance and are scalable and adaptable. Fives implements progress measures to drive performance. The Fives progress plans enable customers to increase competitiveness, improve profitability and optimize costs. Fives is working toward a zero workplace accident rate and a smaller environmental footprint. To this end, Fives has made safety the top priority through a highly operational prevention policy that involves all of its employees. Fives also believes that reducing its environmental impact is a crucial issue and a great source of innovation.